Hi user_hidden: I uploaded your new file 10/12/17. Thank You Again. Anyone know where I can download KB954193 - Jet 4.0 Database Engine cumulative hotfix package: July 2, 2008? This hotfix was removed by a recent POSReady Addon (August) because it was superseded by KB4034775. The removal may be causing a problem with one of my apps (Stickies) and I wanted to take a closer look at the fix. I suspect something got removed that Stickies needs to startup correctly. tomasz86 has uploaded most of Win2K's updates and many of XP's, and I think that KB954193 is one of them. Go to the archive section of his site, click on 'updates', which will load mega, look on the left-hand side for the update you are looking for and click on it, then choose the language version of the update that you want. Nice. Thanks for the tip. only use true REAL checksum verified original ISO. I'm using a VL copy of Windows XP Pro SP3. Only Flash Player as far as I know, dudeuk. But I have it covered in my addon if you use it. I managed to integrate this pack, as well as the POSReady pack, using nLite 1.4.9.3. The iso works great, installs fine, no errors. There's this one thing I'm not exactly sure about, though. When I check the add/remove section and I check the "show updates" option, there's only one update for something called CAPICOM. Shouldn't all the updates from both packs be visible here or am I missing something? The only thing I could think of is that the updates themselves are applied but without any entries in the Add or Remove Programs section(for whatever reason). Maybe it has something to do with the "QFE" thingy in the packs' names, I don't really know. I'd appreciate it if someone could enlighten me. It's been common practice since Ryan originally started the update packs to not include entries in Add/Remove Programs. They can't be uninstalled when slipstreamed anyway. So my guess was somewhat correct. Imma go and revive a few old PCs now. Thank you very much. I managed to integrate this pack, as well as the POSReady pack, using nLite 1.4.9.3. You should also consider including IE8 for integration, it might come in handy even if you don't intend to use it as a primary web browser. Otherwise your system will have IE6 installed. I think IE8 is needed to run MS Updates through the browser. I'm not sure really since I prefer to install KB*.exe update files manually (they are available on Microsoft Update Catalog web page). I always use the "clean" version of IE8 addon in my installations, you can of course try the "nosetuperror" version. A new XPSP3_QFE installation is a starting point, like a new service pack. Any updates initiated by the user going forward will be shown in Add/Remove Programs and can be uninstalled. I've already done that. For the purpose of my question I needed only mention the update packs, other addons were irrelevant to the question. This is everything I integrated. Now you should be able to activate XP with your volume license key even though it was built from a retail iso. The following packages have been mentioned here before but they are not specifically created for XPSP3QFE Update Pack and are not even listed on RyanVM forums. Have they been tested and working ok with this update pack or are some alternatives available elsewhere? Can this be integrated using nLite or can it only be installed on the live XP? 2) VC++ Redistributable. Is it also needed? I think .NET won't install without it. In that case VC++ would have to be installed (or integrated) before .NET, I guess. And which version of VC++ exactly is required for .Net v3.5? v2015/2017 or earlier? I'm trying to get my XP as lean as possible. It is geared towards a few selected business applications and lots of Windows components have been removed with nLite. I say its better to NOT include the dotNET with in the OS install. That "dotNetFx_AIO_x86_20171010" will install completely, all the dotNets, fully updated. Though, I think there was a new dot net in December, but you can get that one from MSu. I have used this VC++ installer for the last few months now, and like it alot. Just unstalled then reinstalled again yesterday using this tool. Good stuff. This makes your life so much easier! Just Wanted to say Have a Merry Christmas and a Great New Year. vulnerability exists in Adobe Type Manager Font Driver (ATMFD.dll) when it fails to properly handle objects in memory. 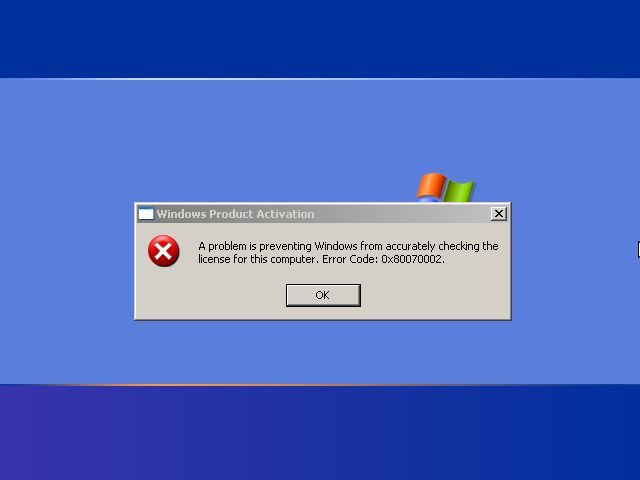 An elevation of privilege vulnerability exists in the way that the Windows Kernel API enforces permissions. I wonder if Microsoft is going to patch XP for Spectre and Meltdown.... And if they do, I wonder if they're going to bother with XP x64... They did release some new stuff for x64 in June 2017, so who knows. Hi user_hidden: I will upload your new file 01/11/18. Thank You Again. Is there a way to update Microsoft Root Certificates manually instead of doing it with Microsoft Updates in IE8? I prefer to download and install all updates manually from Microsoft Update Catalog. However, the last root certificates updates available are from 2006 for W2K. Another item not available in Microsoft Update Catalog is Flash Player, but it is easy to find it on Adobe's website (install_flash_player_ax.exe). KB4012598 was superseded by KB4018466 in pack v20170619. A security issue has been identified in a Microsoft software product that could affect your system. You can help protect your system by installing this update from Microsoft. Hi.. will there be a new 2018 XPSP3_QFE_UpdatePack coming soon ? Planning a last release of the POSReady addon for the last (ever?) XP patches. Been waiting/hoping for a definitive Spectre and Meltdown fix that won't brick PCs. Whatever happens, I'll release what I've got for April. @5eraph; I really appreciate The valuable work you and so many others in here have been doing all these years. I am one of many that are so grateful to you. Thank you from the bottom of my heart sir. Yeah, we have all benefited from all these project, Thanks to 5eraph, user_hidden, Harkaz, RyanVM and the many others who participated in all these tools and update packs! Planning a last release of the POSReady addon for the last (ever?) XP patches. It would seem I was off by a year. POSReady 2009 will receive updates until April 2019. Failed extract of third-party root list from auto update cab at: <http://www.download.windowsupdate.com/m ... ootstl.cab> with error: A required certificate is not within its validity period when verifying against the current system clock or the timestamp in the signed file. Please use mega.nz or google drive. The link works for me. If it didn't work for you before, please try again. Might have been temporarily down. Works for me both on FireFox 61.0.1 and on Vivaldi 1.16.1230.3 snapshot. 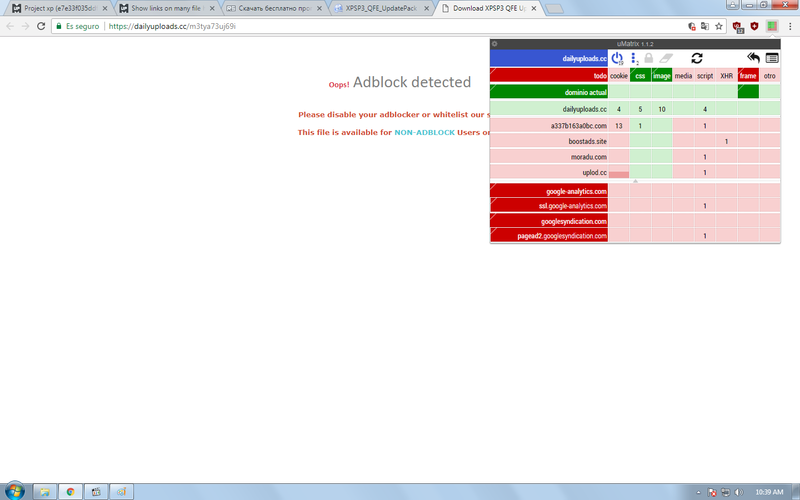 Make sure you have your ad blocking disabled on that page. Make sure you uncheck the Download Addon option under the actual Download button. i have the same file in my collection if the link in my signature below helps.. Thanks a lot for the share! The download connection "https://dailyuploads.net/zgsbwmoa3zvv" for me is too slow, only 3 kB/s or so. Would anyone be so kind to post it in a google dox link? I will truly appreciate it! This update pack is an ADDON, not a SERVICE PACK.